DUBAI, United Arab Emirates – Dubai opens the world’s tallest building amid tight security, celebrating the tower as a bold feat on the world stage despite the city state’s shaky financial footing. But the final height of the Burj Dubai – Arabic for Dubai Tower – At more than 2,625 feet, it long ago vanquished its nearest rival, the Taipei 101 in Taiwan. The building boasts the most stories and highest occupied floor of any building in the world, and ranks as the world’s tallest structure, beating out a television mast in North Dakota. Its observation deck – on floor 124 – also sets a record. 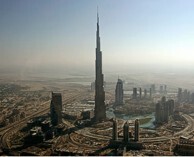 The Burj Dubai, set to open Monday, is now the tallest building in the world. The finished product contains more than 160 floors. That is over 50 stories more than Chicago’s Willis Tower, the tallest record-holder in the U.S. formerly known as the Sears Tower. 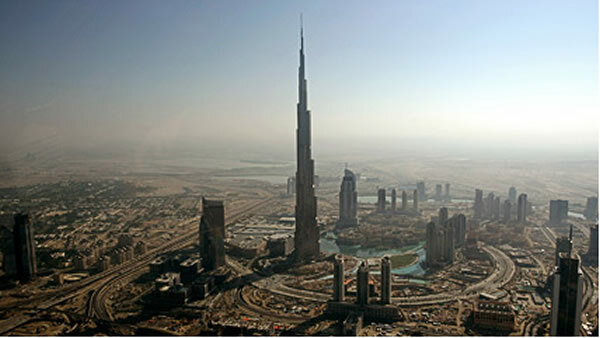 At their peak, some apartments in the Burj were selling for more than $1,900 per square foot, though they now can go for less than half that, said Heather Wipperman Amiji, chief executive of Dubai real estate consultancy Investment Boutique.